A well-written junior accountant cover letter will take your job application to the next level. Find out how to stand out from the crowd with a persuasive and powerful cover letter. A convincing cover letter for the junior accountant job should clearly highlight your skills and strengths as they relate directly to the job opportunity. The cover letter is your introduction to the employer - make the right impression from the word go. As a motivated accounting professional I believe that my Associate's degree in Accounting plus my 3 years relevant experience make me an excellent job candidate for your junior accounting position. I have enclosed a resume that clearly outlines my work history. Please allow me to highlight some of my skills as they relate to your stated requirements. I am confident that I am just the team player your financial department is looking for. My knowledge and skills, along with my committed professionalism, would allow me to make a valuable contribution to your company's ongoing success. I would enjoy meeting with you for an in-depth interview at your convenience. Thank you for your time and consideration. Adapt this cover letter for a junior accountant to meet the specific job requirements of the position you are applying for. Your cover letter is the first impression the prospective employer has of you, so you need to make it count. The letter should include enough information to persuade the employer that you are a suitable job candidate and showcase your strengths and skills. Keep your cover letter to one page in length and stick to an easy-to-read format and font. Customize each cover letter to the job opportunity you are applying for, including details relevant to the specific position. Attention to detail is a core requirement for accountancy jobs, proofread your cover letter properly and make sure it contains no errors. 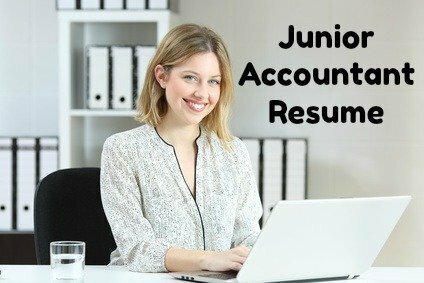 This sample junior accountant resume will ensure your job application gets the attention it deserves. Excellent entry level accounting resume helps you get your foot in the door. What skills should I include in my junior accountant cover letter? This junior accountant job description will help you gain an in-depth understanding of the duties, responsibilities and skills for the junior accountant position. Employers have highlighted these five junior accountant skills as being key to good job performance. You can prepare for your accounting job interview using the following interview guides.